Join us Saturday, February 4th to celebrate and pick up your Valentines' Day Shipment. Fantastic wines and a special surprise pop up! Winemaker Notes: Rich aromas of raspberry jam and cherry fruit, with hints of dried rose petals, white pepper and sweet candied cherries. A lush mouth feel of red fruit floods the palate with a velvety texture …finishing silky and full bodied. Winemaker Notes: Rich aromas of jammy blackberry fruit, fig leaf and anise. Subtle notes of cocoa and coffee. 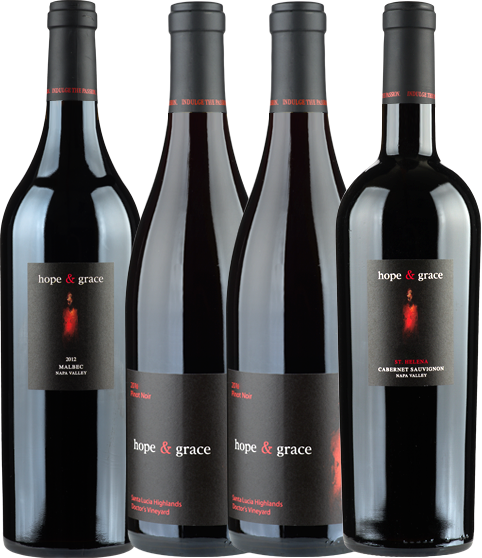 Ripe, juicy cherry fruit floods the palate... leaving a luxurious and velvety finish. Balanced, complex and full bodied. Winemaker Notes: Enveloping aromas of raspberries, dark cherry and toffee with savory notes of chocolate, black pepper, and cedar. Silky and lush flavors of cherry and spice fill the mouth with an expansive long, gratifying finish.